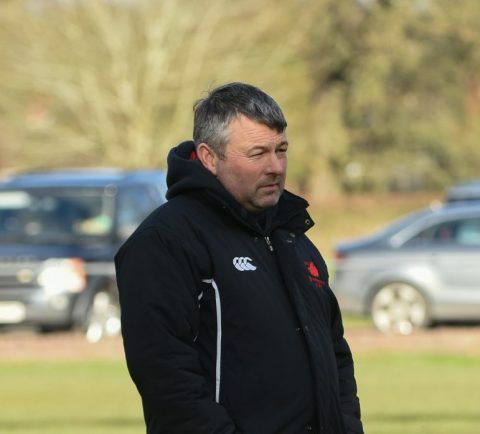 DIRECTOR of rugby Dan Protherough has warned Bromsgrove must keep their feet on the ground after making it six wins out of six in Midlands One West at the weekend. Rampant Boars continued their 100 per cent winning record on Saturday as they ran in nine tries in a comfortable 60-12 victory over Lutterworth at Finstall Park. But with a trip to lowly Melbourne today (Saturday), Protherough told the Standard the classic cliche of avoiding complacency will be the key to securing victory in Derbyshire. “It’s all about keeping our feet on the ground,” he said. “We have to keep working hard in training and then producing the goods on the day. “Even though we have won all of our games, we cannot get too ahead of ourselves because we are not even a quarter of the way through the season. “It is very cliched but we have to take every game as it comes. James Upton opened the scoring for Bromsgrove at the weekend with a penalty before an unconverted try put Lutterworth ahead. But the Boars fought back as Chris Hooper and Josh Holt each bagged two tries. Upton kicked three out of four conversions to stretch Bromsgrove’s lead to 29-5 by the interval. After the break Lutterworth bagged a converted try to reduce the arrears to 29-12 but that was as good as it got for the visitors as Hooper completed his hat-trick while James Abbott, Ollie Bache, Jack Barwick and Richard Mahoney all touched down. “It was our most complete performance of the season,” Protherough said. “It was the first game where our attack clicked for long periods of the game.